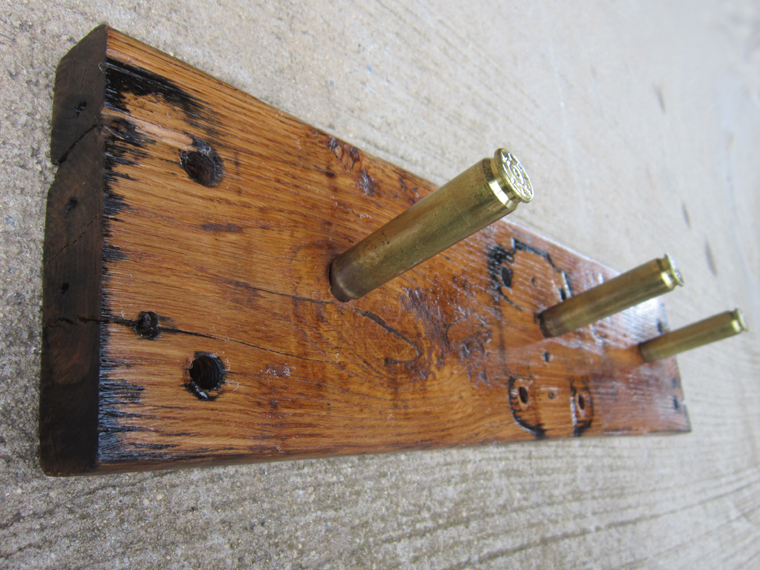 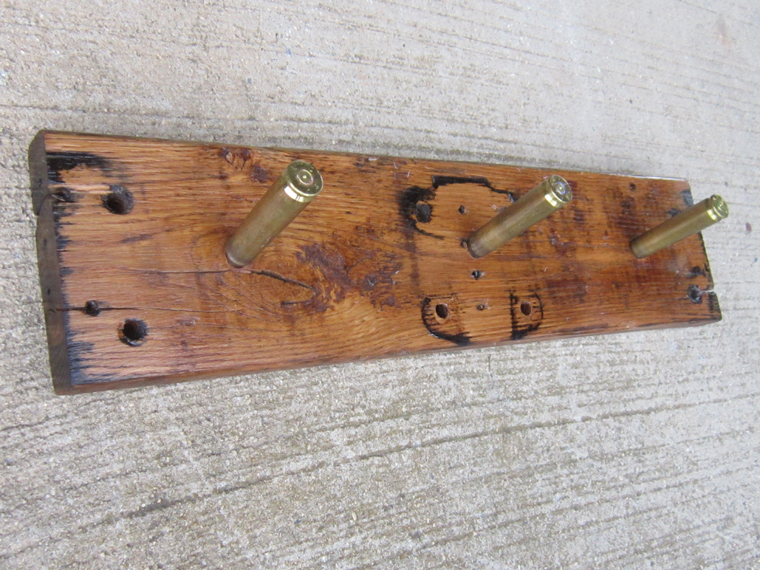 This beautiful coat rack is made from 50-caliber bullet casings and wood reclaimed from furniture factory carts. 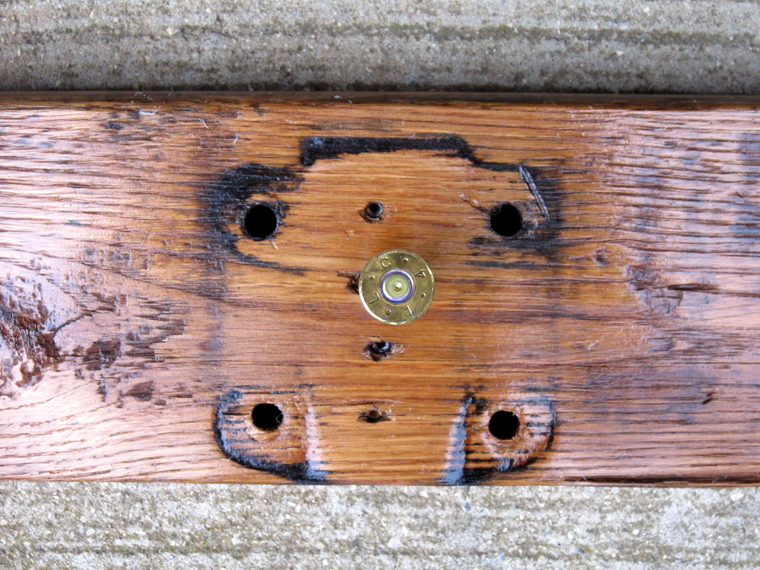 The bolt holes and colored patina from the cart hardware remain on the wood. 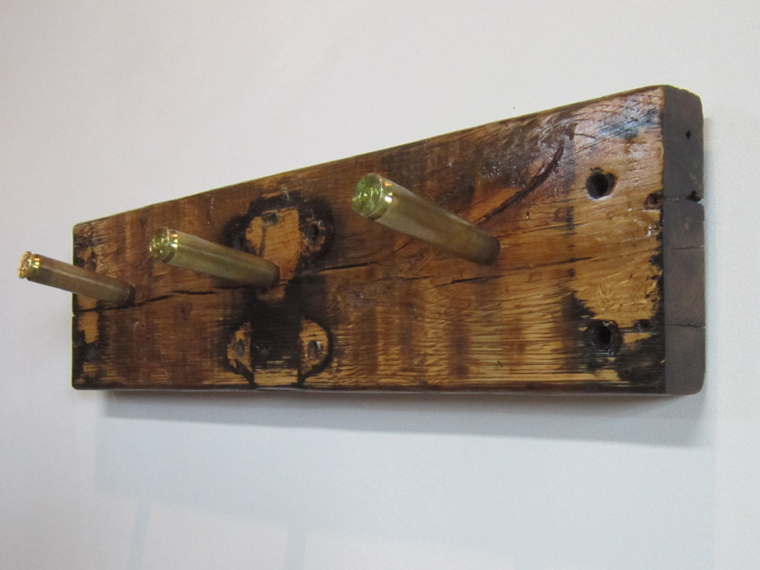 The warm oak and sleek steel make a rustic yet modern addition to an entryway, mudroom, or bedroom. 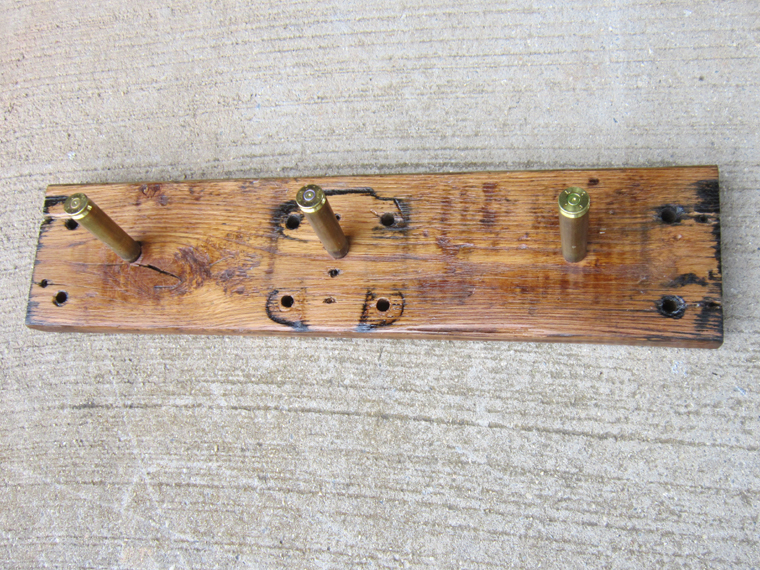 Each piece original and unique, so there may be minor variations. 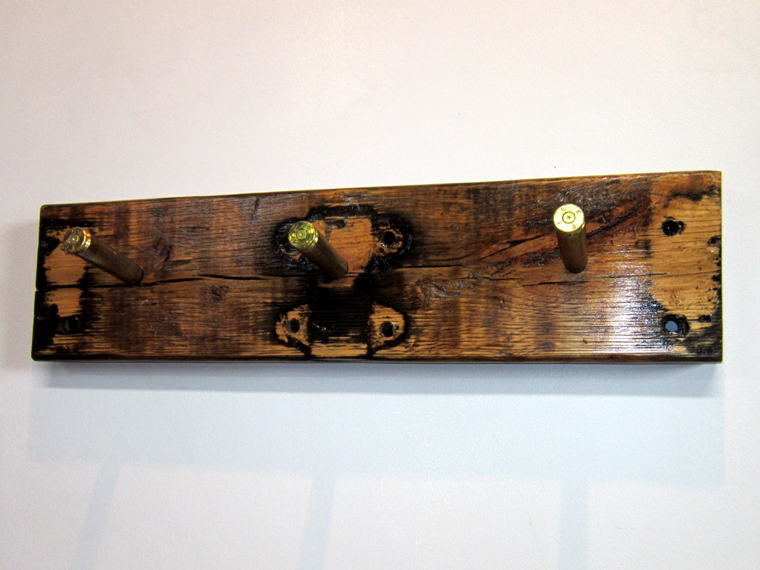 Three coat hooks. 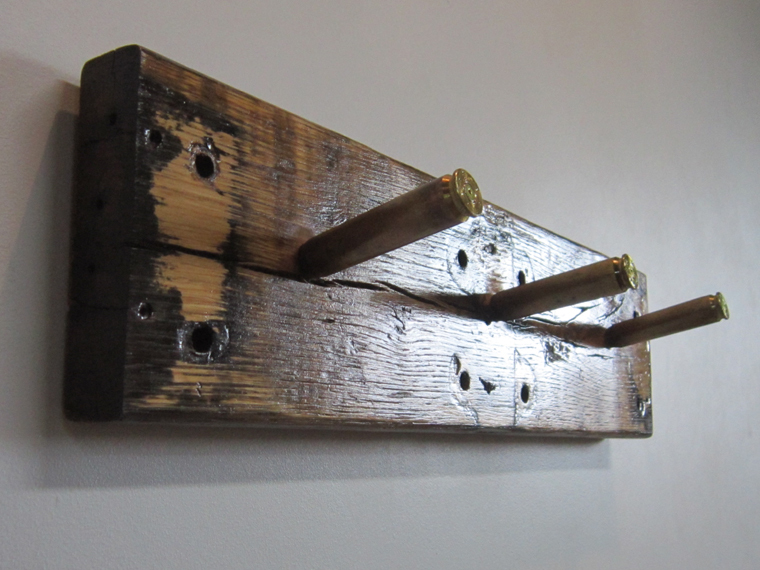 These are very strong and sturdy, but style of mounting will determine how much weight they can hold. 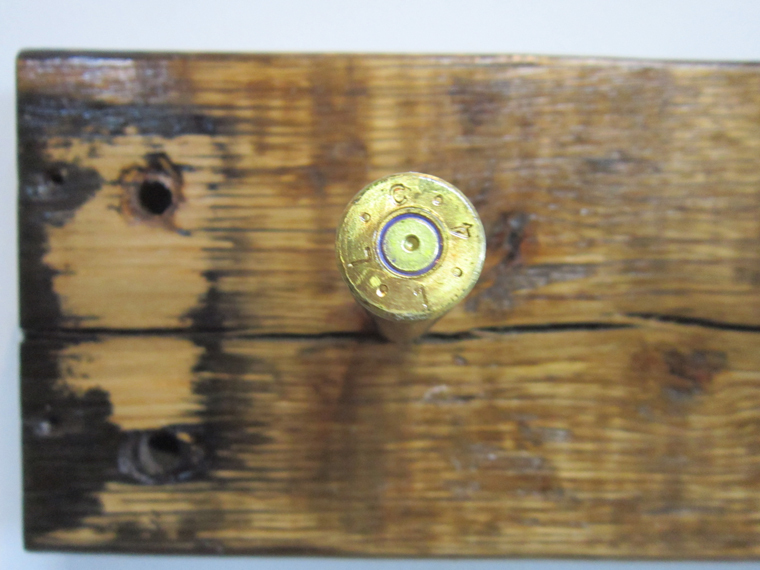 Measurements: 22 1/2 x 5 1/2 x 5 inches.